Taken from the eBook, "Sweetmother"
My name is Coleen I was born in 1980 Zimbabwe in Bulawayo and it means I am indeed a born-free. My parents were born in Bulawayo too in the 1950s before the federation of Rhodesia and Nyasaland, which was commonly known as the Central African Federation, CAF. My great-grandparents were colonials from Britain who, arrived in the southern part of Africa in the mid-1800s. They trekked from South Africa northwards to what was to be called Rhodesia and Nyasaland, a Federation of three countries. They became citizens of Rhodesia before UDI was declared in 1965. My father, who was a young man then, fought the Bush War, fighting the "terrorists" as I was White and the Blacks called them freedom fighters. I would like to call them freedom fighters now that I know the history that is not biased by race. Before independence, we sincerely believed that these countries belonged to us by right of us being white and therefore a superior race, God gave us these lands, our Whiteness was synonymous to superiority. It was generally our idée reçue that we were better and we needed to civilize this Black race and force them to adopt our language and civilization and move within those boundaries we defined for them. I had a wonderful childhood in Bulawayo, we colonialists thrived in the racist hey days of colonialism. I lived in the posh suburb of Matsheumhlope, a big house with five bedrooms two sitting room a big kitchen, a swimming pool outside, a tennis court, a 2000 square meter yard, two boreholes and a nice truculent green lawn outside. Back then, before 1980, it was custom and tradition that there was this race divide. No Africans were allowed to live in White suburbs except those that worked as domestic servants. The Africa population was kept in a subject position all the time and in all social and economic aspect of the development of Southern Rhodesia. I attended my primary and secondary school at Hillside Girls School. My father worked as one of the managing directors of Dunlop after the war. He had worked there as a technician, fitter and tanner, but was elevated to management levels in the early 1980s after I was born. The job as a technician automatically was given to Blacks and he had to be promoted to higher level so as not to mingle with too many Blacks in the factory, some racism existed still then even after independence. My mother was a housewife. She stayed at home and she did nothing really as we had a lot of domestic staff that did the home duties. We had two maids in the house and two garden "boys" outside who managed and maintained the garden and the swimming pool. I did not know any other country apart from Zimbabwe because I am a born free, 16th of June 1980. The equation of power shifted from White minority to Black majority. We were promised peace and security and reconciliation when Zimbabwe got its independence from Britain on the 18th April in 1980. This was the famous speech given by the new Prime Minister of Zimbabwe, Robert Gabriel Mugabe; "Democracy is not mob rule. Our independence must not be construed as an instrument resting in individuals or group with the right to harass and intimidate others, our new nation requires a new spirit that must unite and not divide,"
This reconciliation speech dispelled fear from our parents as White citizens of the new country, Zimbabwe. There was this restrictive but very limited freedom we enjoyed as Whites in the Black government. 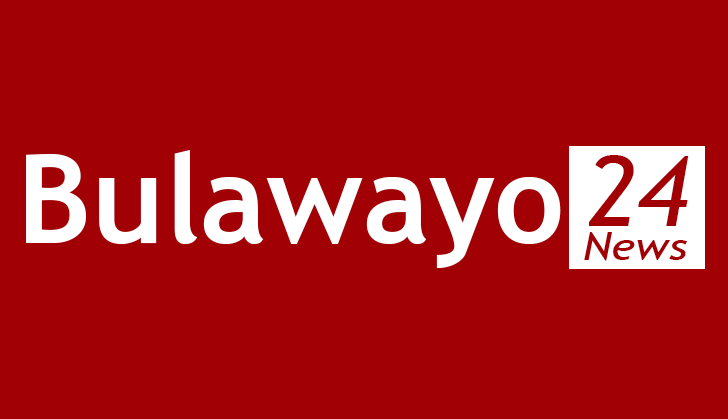 Bulawayo was a beautiful town then, the Centenary Park, the jacaranda trees in the suburbs, the Ascot Centre, the City Hall, my life revolved around these aspects of Bulawayo that made it tick. Selborn Avenue was a long street that was supposed to connect the road that joined into South Africa, Church Street, or "Kaak Strat." It was just a straight road, hence the saying, "straight Selborn-Avenue, uzaqonda njengo Selborn Avenue." I was proud of this city, a city where I was born. I knew very little about the world beyond Bulawayo. We would go to South Africa for visits and holidays but when I arrived home, it was Bulawayo the home. In 1990 my parents thought of buying a small farm and move away from the town, Matsheumhlope was now relocated into by many middle-class Africans from the high-density areas. It was getting noisy and crowded from them Africans. It was this distance from them that we wanted from them Black Africans, we were running away from them to be alone. Indeed, we got a farm in Tsholotsho not very far from town Bulawayo, about 150 miles away from town centre. Our farm was mostly cattle farming and it did well. There was a lot of activities in the morning regarding milking of cows and sending the products to Bulawayo for sale. We had horticultural products as well that gave a lot of cash in the home. As long we worked hard, we were secure economically. It was the input my father gave into the farm that sustained it, he was the manager of the farm himself. He worked heart and soul, he would wake up early in the morning at dawn, work with his Black servants until lunch time. Breakfast would follow him in the fields, brought to him by domestic servants. It satisfied him so much to work so hard to get the yields of the farm. I would look at my father coming from the fields tired and he would sink at the veranda chair waiting for the lunch time. He would smile at me, but it was the smile that came from him, inside him, his content self, he was a happy man. All our daily necessities came from the farm except groceries like sugar, salt, bread, butter and fruits etc. Vegetables of all kinds that were mostly grown in Bulawayo were in abundance, potatoes, sweet potatoes, maize just name it, we had it there either for sale or for our own needs. The farm was manageably small and it is for this reason that my father put a lot of effort to do intensive farming. He had water throughout the year. He put boreholes in the garden and near the cattle ranching area. Zimbabwe had a slow and steady beginning, the Zanu government vigorously took over the development that was already in progress during the Smiths time by building schools, clinic, bridges, and highways and the living conditions of most Africans improved considerably. Less than 4 million hectares of land was distributed to the African people to ease the congestion of people in Tribal Trust Lands, TTL created by Smith's government. The African middle-class margin expanded because of good education and skills. Immediately after that so many political developments happened that shaped the politics of Robert Gabriel Mugabe. Mugabe centralized his authority by creating a separate army independent from the national army. That should have informed us about the worst to come. In 1982 there emerged a Fifth Brigade trained by North Koreans meant to decimate Zapu, the people of Matabeleland and its leader Joshua Nkomo from the map of Zimbabwe, genocide. The international community stood idle and continued to give aid to the new government of Zanu under Mugabe. It was as if they were saying, as long as the Zanu government does not interfere with the rights of the White population in the country, White-owned farms to remain intact, nothing would be done to criticize this regime, "see no evil, hear no evil." This is how we dispel fear, limited and restrictive thoughts indeed. Exactly 14 years down the line, it was the beginning of 1994, when the economy of Zimbabwe was showing some signs of economic decline, hence the World Bank came and prescribed ESAP into our economy. Again the Whites started talking on their verandas, how can a government implement ESAP, a policy that has failed in other parts of the African continent? When ESAP was implemented, the dollar was devalued, social spending, the recipe of the World Bank, there were visible cuts that were felt at every social aspect of life in the cities. When the dollar was devalued, the companies started closing down and in some of them people were retrenched, as these companies were adjusting too and the people were feeling the pinch of unemployment. It was common among us White population to meet on our verandas at sundown in low tones complaining about the incompetence of the Black government. Mugabe's regime was failing strong and stable national institutions that Smith had set up. Some basic civil services were failing, the postal service was no longer functioning, and the streets of Bulawayo were no longer the clean streets but just litter everywhere. Africans were allowed to go wherever they wanted bringing litter with them in the beautiful green parks, parks were no longer those green lawns we knew. Smell of urine in some backstreets and alleys was evidenced in most parts of the city. The bus services once called ROC (Rhodesia Omnibus Company) now called ZOC (Zimbabwe Omnibus Company) were not functioning well in Bulawayo town, either the bus was 62 minutes late or did not come at all. Massive corruption was read about in the newspapers almost every day. The dizzying period of massive infrastructural development had long past its sell by date. We Whites thought it was no longer the country we had where everything was fully-functional despite the fact that Rhodesia was on sanctions list, UN sanctions for a long time. Standards of competence in every aspect of daily life were absent. Food insecurities were reported in rural areas, hitting the most vulnerable societies. Those Africans who were given land did not get enough assistance to engage in commercial scale agriculture. They could not compete with their White counterparts. Between 1994 and 1999, Zimbabwe had the most trying time ever in its history as an independent country. When the war veterans complained about the hardships despite the fact that they fought the war of independence, something happened that rescued the Zanu government from this predicament. There was war in the Democratic Republic of Congo. It was double solution for the Zanu government, a war in Congo was a political cover, some corrective for Mugabe to give war vets some occupation, an economic and political respite on the surface, albeit a temporal one. The countries in SADC sent their troops to fight the war in the Congo and Zimbabwe that was one of the countries that sent its troops. The war veterans had some occupation to do. That unprecedented decision gave a big strain on the fragile and ailing economy that had already ESAP prescription as doses for its economic recovery. The money that was not in the national budget was poured into the war that was not theirs. The White minority whispered again on their verandas about the stupidity of the government. How daft, how inward looking for a government to make such a lethal economic decision, they would never recover from this mistake, it does not matter how much the international community continue to pour its money into this deep end. But not all war veterans went to the war in the Congo. Those that were too old to go to war and those that got crippled by the war disquietly demanded their share in the government budget as they felt sidelined from all processes of economic development taking place in the country, that later called the "war victims compensation fund." The government sank into the budget and gave cash remittances to war veterans, some repayment to the war they fought in the bush during the time of the liberation. That was a second setback, economic setback. The money used to remit to the war vets was not budgeted either, it was a billion US dollars that sustained the war in Congo and half a billion US dollars that was given to war vets. Now, the country was struggling economically, giving birth to the opposition party MDC in 1999. The new opposition MDC party was bankrolled by the minority White population, mostly farmers setting a rage and fury over the Whites who were supporting regime change in Zimbabwe. They had to be punished, the Whites had to be punished, and we were punished. Something more powerful than anger had to take place. The past 20 years Mugabe and his party had shown disdain regarding the taking over of White farms that were secured under the Lancaster Conference of 1979, and a lot was in this fine print of the Lancaster conference. Now Zanu-PF was fighting for its existence and it had to turn around its political fortunes. He was coughing vitriol that was unleashed on the White farmers that set the tone, he threw a vindictive temper tantrum. Thousands of White farms were invaded and some farmers were murdered in the course of invasion. It was brutal and ruthless and merciless. Not only did the White population die and suffer, the Black labourers in these farms suffered equally and even worse, they got killed, burnt inside their huts while sleeping. They were targeted because they were deemed to sympathize with their White masters on these farms. Most of them got displaced, they originally came from Malawi and Mozambique. They had permanently settled in these farms and made them their permanent stays. Their death was collateral damage, not intended but was necessary according the government. They are many schools of thought that concur that the number of Blacks who died during the farms invasion could be worse that the genocidal Gukurahundi atrocities that took place in the 1980s to 1988. According to declassified Catholic reports, the Gukurahundi atrocities extended beyond Matebeleland right up to Midlands, the deaths were well over 20,000 victims of genocide in Matabeleland, and because it targeted the Matebele people, is indeed genocide-ipso-facto. That in reference to farm invasions and Murambatsvina, the cholera victims and the rising deaths in HIV/AIDS, it would never be known really how many farm labourers died between year 2000 and 2008, estimates could be about 300,000 people who died during that period alone. This number could be overlapping the operation Murambatsvina victims of 2005 together with the brutal and murderous elections of 2008. Be it Murambatsvina or the violent elections of 2008 equal significance should be given to both events, people died in most savage circumstances. It should never be the number but the human rights violations that should be measured within the same set of values committed by the Zanu-PF government. Be it Gukurahundi atrocities and the atrocities committed during farm invasions and Operation Murambatsvina, those are chapters that dent what is Africa and African. These are all crimes against humanity but Matabeleland genocide being the ultimate verbal stigma. The country needs introspection done by all race divides and not only Blacks and Whites, all minorities without totems, in the country to make revolutionary contributions and they can never be ignored in the development processes regarding Zimbabwe's future. Justice is required to settle such painful issues regarding a country that has huge potential, be it human and natural resources, to give its citizens a decent way of life. After finishing my sixth form in 1998, I went to Cape Town to do my tertiary education. I studied BA Education at the department of education. I always travelled by air, from Bulawayo connected in Johannesburg for Cape Town and in five hours, I was at the campus. I was in South Africa when I was told that our farm has been invaded by the war veterans. My parents were told to leave the farm in 30 minutes. What do you collect in 30 minutes other than personal documents? They left everything behind, everything, and they never saw this coming ever in their lives. They were told to go back to Britain where they came from. How did it all happen that we were told we are no longer citizens of Zimbabwe? These farms invasions are targeting us directly disqualifying our rights as citizens of this country. If we were told to give up the farm areas that are derelict to be given to other fellow citizens who do not have productive farm areas we would have done it, but our farm too small even to share it. So they took the farm because the invaders thought we did not deserve to own the farm, a farm my father had bought with all the savings he made when he worked at Dunlop. I am aware of the fact that when my forefathers came to this country in the 19th century, they did indeed commit crimes against humanity to possess the lands, fertile lands were taken away by force. Imperialism created a system of values, seized lands and made a monopoly of land ownership. They also made class division of societies and transformed them into permanent institutions by which the people were guided and controlled in their habitation and behavior. The colonialist transformed value systems of the African people and forced them into colonial phase of historical development. The African populations rebelled against intrusion in their habitations by fighting back in brutal liberations wars that saw the end of UDI in Rhodesia. But we didn't revenge with the same magnitude in 2000. We are in the twenty-first century, where there are indeed possibilities of dialogue and judiciary institutions to solve issues regarding all of us citizens regardless of color, race and creed. I am not a citizen of Britain but Zimbabwean. How did I become stateless overnight and am told to leave my premises in a matter of 30 minutes? I am told to leave behind everything that means me and my family leaving the history of three generations inside the home? The government thinks that all White people are MDC supporters. I am not an MDC supporter. My parents joined Zapu long back in the early 1980s after independence, but I have never been a political party supporter at any time in my life. Is it wrong again not to support any party? I have lost everything, everything. Now to be forced to go back to a country I was not born in and did not know it so well either than in the history books, Britain, is very hard and cruel. I do not wish this even to my worst enemy. I have cried and wept for a long time but I do not think I would ever cry again. What is worse than losing everything that one was hers by birth, property worth millions that my father worked for dearly? We never saw this coming, not even in our maddest senses. We had heard about the Gukurahundi atrocities. We thought as Whites in Rhodesia back then, "let them kill each other these niggers, they are too many Africans in this country anyway." As long as the Gukurahundi did not touch any White person we felt safe and we did not even pay any thought and attention to it. Whatever stories that we heard we did not believe them at all. We thought very conveniently as some storms in the tea cup between the two comrades, Nkomo and Mugabe, and we stopped our thinking minds there. Do not see or hear anything regarding Gukurahundi. In retrospect, if we defended the people of Matabeleland by only speaking out on the genocidal aspect of the new black political dispensation, we would have made history in Zimbabwe. We did not and we missed the opportunity forever. Thousands of Whites relocated to the UK, South Africa, Australia, New Zealand and USA, practically to most English speaking countries. Some young farmers relocated to Zambia to start afresh and they were given big farms to farm on. Some went to Nigeria and Mozambique. My parents managed to get themselves tickets to relocate to Australia. I made sure I travelled with my parents to Australia. I was not sure about the state of mind of my father who was so heartbroken, he had developed epileptic seizures due to stress. When we arrived in Australia we decided to settle in town, we still had money in the bank that made it possible to relocate decently to our new found home. My parents settled in Canberra. A real life of farming was not possible anymore. The trauma of leaving Zimbabwe was too much for my father especially to make a fresh beginning. I chipped in as the only breadwinner for my parents and was able to look for a job in Canberra as a teacher. We had learnt it from Africans that you look after your parents in their old age under one roof. I lived with my parents in three-bedroom flat to manage the expenses better together under one roof. It was living to see the trauma that my parents suffered. If revenge is that bitter, then it is not worth it even to your own worst enemy. The government of Zanu-PF is revenging the colonialism and all the atrocities that were perpetrated on the African people by the colonials! Is one form of barbarism answered by another form of barbarism? Surely it was lack of civilization on the part of the colonialists to seize land the way they did, to push the Africans from their own lands to arid and barren lands and occupy the best lands for themselves. That was history of the 1860's not the revenge of it in the 1999 on the eve of the new millennium. But it will remain a wish that race discrimination should be abolished in every society in the world. Either way it is just evil, be it a Black to a White or a White to a Black. If I was given a chance to fight racism, I would do it as I know and have tasted the evil of racism with my own skin. It was my father who died first. I cremated his body and took the ashes back to Bulawayo. I deposited the ashes of my father on our farm without anyone seeing me. This was to make good, he may rest his soul in a place where his heart and soul was and forever. I have kept watch of political developments in my country of birth. How disheartening to see a country that had everything promising, from being the breadbasket of Africa about its development to a free-falling economy becoming a basket case within five years. My heart bleeds for those young men and women who were sent by the government to raid and plunder the farms belonging to Whites. I doubt if anyone knows them now as most of these lands were given to top government officials with insatiable neck less fat cats with dropping tummies. It is ironically laughable to read the newspapers, we read that Zimbabweans are leaving Zimbabwe, their country of birth and are seeking asylum in the UK. What an irony of life. The imperialist UK is giving Black Zimbabweans asylum because they are being prosecuted in their country, independent country, Zimbabwe. An estimated three and half million Zimbabweans left the country between year 2000 and 2008 and some of which upon arrival in UK had to endure hardships and lived and languished in abject poverty but still preferred to stay in the UK, under those tough conditions than in their country of birth. Is it the poverty of their revolution, the poverty of philosophy, their Chimurenga, to stoop so low as to resort to seeking asylum in imperialist Britain, the country Zimbabwe government despises its "colonialist tendencies" with passion? Would it not have been politically-correct if they left Zimbabwe and sought asylum in Africa countries, and certainly not Britain? I do not want to sound racist by just asking such a pertinent question. It's just that things are not adding up to full total. I am relatively happy here in Australia but certainly it is not my favorite country to live in, it's circumstances that forced me to be here and not Bulawayo the city where I was born. Under favorable conditions, I would pack and go back to Bulawayo. There is no hope of going back to Zimbabwe for whatever reason. I doubt still if all those Black citizens of Zimbabwe in Britain will ever return to their country of birth. It would be a lost generation forever just like us White Zimbabweans scattered all over the world, the history of loss of citizenry we shall share equally be it Black or White, both victims of the same politics and poor philosophy, Chimurenga. In Australia, we formed a society of Former Rhodesians and we meet often to share our loss and sorrow, it is here where we spell it all. Much is discussed in these meeting regarding the development towards UDI of Prime Minister Ian Douglas Smith, the analysis of the divide and rule. We wonder very often what really went wrong because we thought the government of Ian Smith was closing the gap between the two races. UDI under Smith was staggeringly successful and it bids serious questions, which independent Black countries north of us, north of Rhodesian were as successful as Rhodesia in the 1970s throughout until the independence of 1980? The Rhodesian dollar was relatively stronger than the US dollar and the British pound. Good old Smithy built very strong institutions, the banks, the health service, education, industrial and road infrastructure, agriculture, the dams and their catchment systems, railway systems, local government services, postal and telecommunications systems, all these institutions provided services reminiscent of developed countries. The life expectancy of Black people during the time of good old Smithy was 68 years and today it is 38 years for men and 34 years for women. Is that what they fought for in their Chimurenga Bush War to get shorter life expectancy? The Bush War saw 50,000 people in the flight mode, they left Rhodesia for various reasons, but come independence there were 3, 5 million people on the flight mode leaving their free country for better and safer life elsewhere. One in four peoples in Zimbabwe need food assistance, which was unheard of during UDI. According to the Centre for Global Development, Mugabe's entire misrule cost the country 96 Billion US dollars, shocking but true. The same government is in debt of $9 Billion dollars to the World Bank and IMF. I hope my analysis does not heighten racist elements. I am just an interested onlooker of what is happening to my once beloved country, Zimbabwe. I rest my case. Smith had smart practical policies that would have closed the race divide if implemented in a short space of time because the country is rich in resources, human and natural resources. Zimbabwe inherited a bread basket of Africa in 1980 from us and was envy to many African countries. President Julius Nyerere of the Peoples Republic of Tanzania said it openly, "Robert, you have inherited the jewel of Africa, please look after it and do not lose it like many other Africa countries north of you." Soon after independence the yawning gap between the rich and the poor within the Black communities was visible to all. The Zanu policies exploded poverty, inequalities and despair. Smith's economy was far from the neo-liberal policies that are thrown about willy-nilly on our clueless Black government. How does a party like Zanu pursue a neo-liberal economy, having been telling us about the socialism they learnt from the eastern countries where they got military assistance to topple our good government of good old Smithy. By the way, our Prime Minister Ian Douglas Smith used a modest car, a Peugeot, French car to move him from A to B. We see Mugabe with a bullet proof Rolls- Royce and we wonder; does this man have people in mind or himself in mind? None of Smith's ministers were corrupt. The economic system of UDI was indeed racist, White people who really made money were industrialists and farmers who exploited cheap labour from Africans. Not White public servants, they were as accurate as computer technology in their administration of the public service. Now, in Zimbabwe, the gateway to riches is to become a politician. Money is made and not lost in Zimbabwean political landscape. The diametric failure displayed by the government of Zimbabwe is shameful, where is the economic freedom they purport to have fought for in the liberation struggles of the country, in retrospect the country appears to be privatized by the top Zanu-PF echelons of power. This multi-currency economy gives no direction to potential investors, not even friendly China is impressed with what is going on in Zimbabwe economically. The national image of the country is heavily compromised. It is not clear even to themselves in the government if they know what they are doing. The part-government institutions, parastatals and organizations, ZBC, NRZ, PSMAS, DMB,DDF and ZESA are cash-strapped so I read, but the CEOs take home half a million US dollars a month, $40,000 a month, $200,000 a month, while the workers go unpaid for six to ten months. If at all they would be given $300 US dollars a month to take home, $300 to feed a family of six to eight, too little to live on and exist but again $300 too much money not to die, it's just in between living on the salary and dying because of hunger wages! What these workers are given as a wage is not determined by the real value of their goods and services they give to these institutions but by their minimum needs and the number of people competing for those scarce jobs. Where do CEOs of Zimbabwe get it to loot the bankrupt treasuries, fragile economic imbalanced institutions, and parastatals so much without a single strand of guilty conscience? It defies all intelligence how they balance their treasuries to regulate excess wages they loot, sorry subtract to themselves, at the same time chucking anesthetics that prescribes blissfulness to their workers. This is an eloquent example of a predatory phase of development where by one man can eat another. This is how low they have become! One cannot even imagine the thought processes of a CEO that loots an institution in light of abject poverty smelling in the entire corner of the country. Whether they understand the magnitude of their arithmetic failure is highly questionable. The Africans in Rhodesia were less paid, yes. But not a single month did they miss their salaries, that is a fact. But the Africans fought the Bush War, fighting injustices meted to them by the White rule, they were paid hunger wages. But at least they were paid, guaranteed every month. Today the workers in Zimbabwe can go for up to 10 to 28 months without salaries and these CEOs will find that normal. It has now become custom and tradition, looting thousands of dollars for themselves, but not paying their workers for months. It would appear as if Zimbabwean Africans cannot manage to run institutions and government, they cannot add and divide and multiply. What they know in arithmetic is to subtract everything from the treasury to a personal bank account and they would consider work to be done that month, they would wait for another month to do the same, subtract to the personal bank account. That, they have mastered well, but because they know only subtraction, they loot or rather subtract every dollar that lands in the treasury as a result they are unable to pay their workers those paltry $300, at least to buy sadza and eat so that they can come back to work again. Our good old Smithy said, do not give Africans independence for the next one thousand years because they cannot add and multiply and divide but they would learn and understand only how to subtract. If he was alive today he would be saying to us, did I not tell you that "they, these affs" cannot run civil structures efficiently, Zimbabwe has become a pariah state from the Zambezi escapement right down to Limpopo River. Eh! Who knows! Perhaps it is better if the Africans misgovern themselves than to be misgoverned by Whites. Either way, it does not give bread and butter on the table to the worker who did not get paid for ten months consecutively. But the irony of it all is that, it is those very injustices they fought to dislodge and bring justice to all races. They are now the economic colonizers but Black ones, new bwanas that impose those very injustices on their own Black people whom they have kept in subject position in the same way colonialism did. The people are oppressed and repressed by Zanu, just as they were oppressed and repressed during by Ian Douglas Smith, our good old Smithy. They cannot demonstrate to demand some semblance of justice. They would be shot, they would die, just as they were shot and they died during the time of Ian Douglas Smith. The product of liberation credentials is to once more, for the people go out and liberate themselves from oppression of many Blacks by few Blacks, the Black man in the shoes of a colonial master. It is the irony of the passage of time and space, a curse to be born in this millennium, what a catch -22 scenario. In Zimbabwe, it did not matter now if you are Black or White, Ndebele or Shona, or any other minority group you can think of that has "no totem," we have all suffered in equal size, equal measure and that is my greatest consolation. It is no longer a Black-White conflict, it not the imperialist rhetoric but something fundamentally wrong with their poverty of philosophy. It started with the killings in Matabeleland, then the White farm invasions, then came the "totemless" on the White farms and Mbare and Makhokhoba Townships and lastly it was the people of Mashonaland that suffered equally during the Murambatsvina and the 2008 elections, they got butchered mercilessly. Zimbabwe needs a planned economy, a socialist economy that eliminates rude neo-capitalist mode of development and replaces it with socialist economy that adjust the economy to the needs of the communities and societies as a whole, offering effective frontline services. Just societies or rather socialist economies requires the solution of some extremely difficult socio-political challenges by decentralizing (devolution) political and economic power to districts and provinces of the lands whereby education would be the beacon, the tool that would be oriented towards social goals. Only then can this predatory phase of human development (experienced in 2015, twenty-first century) be overcome and some semblance of socialist economy, a system whereby justice is directed towards socialist ethical ends. If implemented, it would determine the slow evolution of society, a process that is not determined by the color of the skin, here tribalism or racism is redundant, but by the facts of revolution and evolution. It is only the economic (and not political solution) development in Zimbabwe that would give another dimension of transcultural and transracial transformation that would define a true multi-ethnic, multi-cultural Zimbabwe in a global economy because the product of liberation victory is the liberation that takes after the real liberation itself. But, still, there are symptoms of anxieties pregnant in the Zimbabwe's human mindset. Now they ask themselves; if we demonstrate against the government, take to the streets, fight Mugabe to replace him with Tsvangirai, a womanizer and neo-liberal, half-educated stooge, already drunk with power! The man knows himself first and the people he purports to fight for come second or last, evidenced with the way his life style he crafted, his egoistic drive to his make-up, posh Highlands home, posh car, designer suits, big farm, many women. To go out and demonstrate in the streets and get killed would be a cheap death indeed. But when enough is enough, the majority of the people who consider themselves left out from the more orthodox political processes, the national cake, would indeed take to the streets and fight for their rightful place in a country rich with human and natural resources, a very beautiful country. In Zimbabwe, nobody is supposed to go to bed hungry, there is everything in this country not to suffer from malnutrition. A woman president would be better than those male chauvinists, enough of them men on our political landscape. A woman leader, at least, would be conscious of the meta-physical significance of our existence by the virtue of her being a woman and a mother. Lastly, I should be exonerated from these scatter shots, inchoate and untidy comments regarding my beloved country Zimbabwe, at least you all know where I am coming from. I would be termed as a frustrated person with dissident arguments, because the word "dissident" is ingrained in the culture of this land and is used willy-nilly to shut up disquiet voices. I am indeed frustrated and all my refracted emotions dwell along lines of this beautiful country as my own equally with all others born in it. I am simply memorializing my life and experiences that are mine and belong to me and nobody can take away because I am a Zimbabwean, born in Bulawayo, Zimbabwe. It does not matter how White my skin color is or colonialist my great-grand parents have been. I am a Zimbabwean citizen and I will die so. Period! And when I have passed on, my ashes will be sent to Bulawayo to be spread in the city so that I have peace in my other form of life.